If you're looking for Naples restaurants, you've found the right place. Naples has a variety of restaurants for you to pick from. Well, whether you are in the mood for Japanese, Thai, Mexican, Italian, American, seafood, or Indian... Even if you're thinking Cuban, Greek, or just a family owned deli... Naples has got you covered! 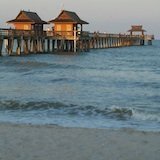 This page is here to help you choose where to eat in Naples Florida. 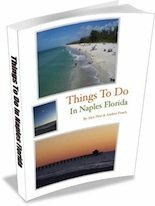 You can consider it a Naples Restaurants Guide. Sushi Thai has a few locations in the area. They specialize in Thai foods like sushi, pad thai (my favorite), ginger salads (another favorite), fried rice, and much more. I just started liking food from India thanks to this place. Incredible flavors and spices. Turkish and Eastern European cuisine at the food court in our Coastland Center Mall. I love this place. The Dock is right on the water in Crayton Cove, right by the City Dock. One of my parent's favorite places to go... Waterfront dining, Old Naples feel, and funky buildings. A really neat waterfront restaurant right by Vanderbilt Beach. I like the Philly cheesesteak they make. Baleen is a high end beachfront restaurant you visit for breakfast, lunch, or dinner. 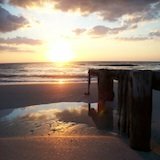 Located at La Playa Beach & Golf Resort in Naples. Turtle Club is another beachfront restaurant in the Vanderbilt Beach area. This is a local (and tourist) favorite. Several locations in Naples open for breakfast, brunch and lunch. I love going here. Awesome place for breakfast, brunch, or lunch (oh--and even dinner now too). Great daily specials, reasonable prices, and the best service. Natural and organic breakfast and lunch. An interesting newer restaurant on Third Street South. Inexpensive cafe on third street that serves you pizza, sandwiches, grouper, grilled chicken, french fries, and more. Across from Cambier Park in downtown Naples. Classic American Cuisine with Bar right off of Third Street South. Couple of blocks from the sandy beaches. A wine and pastry shop off of third street south. You can also have a great value breakfast and lunch here. Used to be known as Trixies -- now it's a New York style deli. Locally owned and located right on fifth avenue south in downtown Naples. Great for breakfast and lunch. Across the street from beautiful Cambier Park. Coffee and snacks. My favorite thing to eat here is ginger salad and chicken pad thai. Mmmmm. A Mexican restaurant located on Tamiami Trail North across the street from Outback Steakhouse at Liberty Plaza. Great menu with a nice variety of choices like tacos, quesadillas, enchiladas, chimichangas, churros, and more. Another Mexican bar and restaurant off of US 41. Great place! A new (and fun looking) pizza joint on fifth avenue in the downtown area. Upscale and authentic Italian dining on fifth avenue south. Another upscale Italian restaurant, but this one is on third street south. You can enjoy live Jazz music here too. Italian chain restaurant. Great salad and breadsticks but you can find these all over the U.S. In downtown Naples on Third Street South. 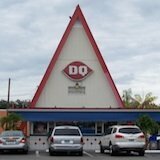 Traditional Dairy Queen. Ice cream and fast food, yummy on the taste buds angry on the belly. Downtown Olde Naples area Subway Sandwhich shop. 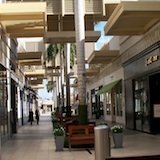 Right next to Coastland Center Mall in Naples. Of all Naples restaurants, I think this one has the biggest menu. Calistoga Bakery Cafe has two locations - one in Coastland Center Mall and the other in North Naples. Great sandwiches and breakfasts. This is a convenience store just a few steps away from Vanderbilt Beach. Local grocery store with produce, meat, organics, seafood, plants and more. Are we missing any of your favorite Naples restaurants?